America should have a special power based around the concepts of immigration and cultural influence. Civ VI's American civilization should get population growth bonuses for each civilization that it is culturally influential against, and a free great person when America first becomes culturally influential against another civ. Example in Civ V terms: America receives a growth modifier based on the number of civilizations that its tourism is influential against. The first time America's tourism becomes influential against another civilization, America receives a free random great person. I have two ideas for how the Minuteman should be represented in Civ VI. The first option is to focus on the fact that the Minutemen were private militia that were mobilized at a moment's notice. The Minuteman could, therefore, be a really cheap unit (similar to vanilla Civ V Germany's Landsknecht). Depending on game balance needs and designer preferences, this unit could also have a slightly weaker combat strength than the basic Musketman. If so, then America should still be able to build regular Musketmen if it wishes. 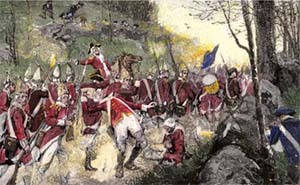 The British regulars dreaded the American minutemen's tendency to lay ambushes in order to nullify the British's advantages in training, manpower, and supplies. The second option is to focus on the guerrilla nature of the Minuteman. The Minuteman could start with a Guerrilla promotion that allows it to automatically damage any enemy unit that crosses its zone of control. In addition, it could receive an additional "Lay of the Land" or "Ambush" promotion that allows the guerrilla damage to be modified by the Minuteman's defensive terrain modifiers, so that fortifying the Minuteman within a forest makes its Guerrilla actions more potent. The unit should also have the ability to ignore the movement cost of terrain. These characteristics could also be combined, especially if the unit has lower combat strength. In that way, the unit will be highly specialized for its guerilla tactics. I have numerous suggestions for possible American Uniques. One of my favorite possibilities is a Tycoon or "Captain of Industry" great person that replaces either the Great Merchant or the Great Engineer. In addition to performing the usual functions of the merchant or engineer that it replaces, expending the Tycoon could provide a strong economic boost to America. One possible effect could be that it has the ability to "Invests" money in order to create "interest" on America's current Gold reserves and gives it to America as a lump sum or as excess gold per turn. Another possibility would be that using a Tycoon could boost the yields of American trade routes by some percentage for a duration of turns. A third, more interesting option could be that each Tycoon expended adds a percent modifier to the gold generated by trade routes with America (for both America and the civilization sending the trade route). This would provide increasing incentive for other civs to trade with America as the game progresses. UPDATE March 19, 2015: A final option would be for the Captain of Industry to be able to spawn a strategic resource (such as Iron or Oil) on the map. This would allow America to gain access to resources it doesn't otherwise have, add more resources to support growing military and infrastructure needs, or create excess that can be traded to other civilizations. This ability would become more powerful if strategic resources in Civ VI have more domestic uses, such as needing to be allocated to buildings in order for the building to reach its full effectiveness. For example, Factories and Train Station buildings could require an allocation of coal to maintain production modifiers, Forges could require allocation of iron in order to speed up unit construction, Airports could require oil allocations in order to enable airlifts, and so on. There are other options for uniques that America could have instead of the Tycoon. The B-17 could return as America's 2nd UU (which would fill the role of a unique Bomber). Alternatively, the Stealth Bomber could be a unique American unit that replaces a standard, information-era Heavy Bomber unit. 101st Airborne unit (replaces Paratrooper) = could have the ability to land on top of an enemy ground unit and attack. If the 101st Airborne deals more damage than it receives, then it forces the defender to vacate the tile, and the 101st Airborne occupies that tile. Otherwise, the 101st Airborne is forced onto an empty adjacent tile after the attack. This function is similar to the Polish Winged Hussar's "Heavy Charge" ability in Civ V.
Navy SEAL unit (replaces Marine) = in addition to amphibious attack, it can also have rough terrain bonuses. Mega Mall building (replaces a modern-era economic building such as a Grocery, Mall, or Department Store, if any of those appear in Civ VI) = provides happiness and/or culture in addition to its economic benefits. Ranch improvement (replaces Pasture) = generates happiness in addition to the effects of a regular pasture. There has been some discussion on the 2K forums about changing Egypt's ability in Civ V. Initially, I was opposed to this idea. But as I've thought about it more, I do kind of think that Egypt's power should not be geared towards wonder-building. Every civilization builds "wonder". Egypt's just happen to be the ones that were built the earliest and have stood the longest. But the Greeks and Romans definitely built some wonderous structure during their golden years that were every bit as magnificent as anything that Egypt built, as did virtually every other major civilization that is represented in the game. And in fact, some of Egypt's famous wonders were actually built under Greek rule: the Great Library and Pharos (lighthouse) of Alexandria. Thus, I don't think it's necessarily fair to single-out Egypt as being especially wonderous. 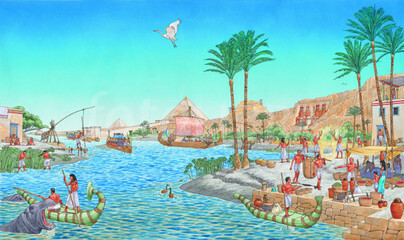 The seasonal floods of the Nile river provided Egypt with the wealth of food that enabled its millennia-spanning empire. As such, I think that Egypt's power should be something that is more uniquely Egyptian. One of the defining characteristics of ancient Egyptian society was the Nile river. Its cycles of annual flooding informed almost every element of Egyptian life, including its religious beliefs. As such, the importance of this river should be part of Egypt's ability in Civ VI. I would suggest that Egypt receive a very high bias for starting along flood plains, and should receive bonuses for cities founded on flood plains. For example, Egypt could receive extra food from flood plains, and they could even have an ability that allows them to "export" food to other civilizations. Example in Civ V terms: +2 food and +1 faith in cities built on flood plains. Any trade route that another civilization sends to an Egyptian city on a flood plain grants +1 food to the trade route's originating city and +2 Gold for Egypt. A food bonus at the start of the game might be too strong depending on how the game is balanced (i.e. how much food flood plains produce by default). So in order to prevent Egypt from being a consistent early-game runaway, the bonus food could require a technology. "Calendar" seems like a good candidate, depending on how early in the tech tree it appears in Civ VI. It would need to be early enough for Egypt to be able to beeline to it in the ancient and classical era, but not so early that they can research it immediately (because then what would be the point?). If a food bonus (somehow) isn't powerful enough, then a wonder bonus could also be included. Instead of a production bonus for wonders, this bonus could be similar to the tourism mechanic of Civ III, or the Landmarks of Civ V: BNW. Egyptian wonders (because they have proved more durable than other ancient and classical wonders) could generate tourism that scales with the age of the wonder. Example in Civ V terms: World Wonders generate +1 tourism starting the era after they are completed, and +1 additional tourism for each era after that. The War Chariot is Egypt's go-to unique unit, and I see no reason to change that in Civ VI. A speed bonus also makes sense as the War Chariot's primary buff, but I think it could also feature the ability to move after attacking (since they were fast and stable enough on flat terrain for archers to fire while moving), and maybe even have additional buffs for the presence of a nearby general (since Egyptian Pharoahs, themselves, often rode into battle on Chariots). Settling on another unique for Egypt is tough, as they have many options in terms of unique culture and religious buildings. The Obelisk, Burial Tomb, or even a Sphinx could all be viable Monument, Shrine, or Temple replacements. France's leader in Civ VI could be Louis XIV, and his ability could be that he effectively gets a third unique item in addition to having two unique units: the ability to build Chateaux. France should of course have the Musketeer as one of its unique units. I think that the French Musketeer is a prime candidate for a variation of the Zulu Impi's spear throw ability. 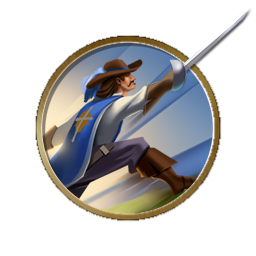 The Musketeers were able musketmen but were also widely revered as expert swordsmen who could lunge their rapier at a target from as far as 15 feet away! As such, the ability to perform its ranged attack and then a melee attack makes sense for this unit. Jeanne d'Arc = Prophet that acts like a General, and enemies killed within range generate faith for France. Saint Denis = any unit that would be killed in combat within his range instead has a chance of being reduced to 1 HP and returned to the capital. Martin of Tours = can build a Holy Site even after spreading religion. Louis IX = after he is expended, he generates a free artifact for France. Remigius = automatically converts all citizens of a city to that religion. Therese of Lisieux = after being expended, she generates a Great Work of Writing for France. Radegund = if expended to found a religion, enhance a religion, or create a holy site, she also creates an Academy on an adjacent tile. Grape Shot = targets units in three adjacent tiles, but does 1/3 damage to each. I actually think that a variation of Austria's Diplomatic Marriage from Civ V could be appropriate for Germany. For much of its history, Germany was a series of fractured states and kingdoms that was only rarely united (once under Charlemagne and the Holy Roman Empire, and then again under Bismarck and the formation of the German state that exists today). So a power that allows Germany to annex city states seems like it could be appropriate. "[Bismarck] remained undisputed world champion at the game of multilateral diplomatic chess for almost twenty years after 1871, [and] devoted himself exclusively, and successfully, to maintaining peace between the powers." So in addition to the diplomatic marriage ability, Germany could receive some kind of bonus for brokering peace between other nations, declaring friendships or defensive pacts, or other diplomatic actions (similar to Sweden in Civ V). Germany could get happiness, culture, economic, or production boosts anytime they conduct a trade deal that results in peace being declared between other civilizations, or maybe even city states, depending on how [and if] city states are implemented in Civ VI. Example in Civ V terms: Germany can spend 1000 gold to annex an allied city state into the empire. Whenever Germany negotiates a peace treaty between two other civs, it triggers a Golden Age for Germany and 100 Golden Age points for both civilizations that were formerly at war. But Germany also loses 100 Golden Age points any time it trades for another civilization to declare war. German tanks were inferior to their rivals'. 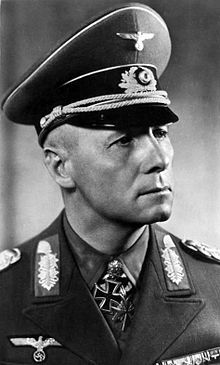 It was the tactics of generals like Erwin Rommel that made them successful. No contest here. The Panzer is the quintessential German unique unit. The Panzer in Civ VI could represent the fact that German tanks during the blitz were actually less advanced than their rival counterparts, and their success was dependent on revolutionary tactics, greater numbers, and quick strikes. It could be cheaper to produce, and maybe even cost less resources (assuming that units in Civ VI can cost more than 1 resource). Example in Civ V terms: The Panzer is 50% cheaper to build and requires only 1 oil (rather than 1 oil and 1 iron like regular tanks), but is also slightly weaker than regular tanks. It receives +1 movement and +10% combat strength if it starts its turn within range of a Great General. There are multiple options for a second German unique. The Landsknecht of vanilla Civ V represents Germany's place in the Holy Roman Empire and the use of mercenaries to defend that empire. The Hanse is also a very good building in Brave New World that helped to make Germany into a more balanced power. But with my proposed German ability already having cultural and economic benefits, Germany already has versatility built in. Either of these would be good candidates for a second unique. Bierhaus building = a building that generates happiness based on nearby wheat, and maybe even allows Germany to export beer as a luxury resource. Dreadnought (replaces Ironclad) = a very expensive, but very powerful Ironclad replacement that is basically an early Battleship. This assumes that Ironclads upgrade to Battleships in Civ VI. Stuka Dive Bomber (replaces fighter) = a fighter replacement that is very potent at bombing land and sea units in the open field. U-Boot (replaces submarine) = a cheaper submarine that gets bonuses for plundering trade routes and gets a combat bonus for having another nearby U-Boot. One of my favorite civ concepts in Brave New World is Venice. That civ doesn't build settlers, and instead must expand by annexing city states or through military conquests. Annexing city states removes the respective city state(s) from play. Austria has a similar ability. Both of these civs can remove city states from the game, which affects the diplomatic victory, since city state alliances are necessary to win the United Nations World Leader vote. Assuming that city states appear in Civ VI in some form (I hope they do), I think it would be worthwhile to have a civilization in that is the inverse of Venice or Austria (or the variation of Germany that I proposed above), and I think Greece is a good candidate. Greece's national power should be that instead of founding new cities, Greece founds new city states, and gets to chose the type or personality of those city states. Greece should also receive benefits from founding such cities, but I'm not entirely sure what those benefits could be. They could start out friendly or allied to the newly-founded city state and maybe receive bonus rewards for that friendship or alliance. Or they could be allowed to have unique personalities that provide their allies (Greece by default) with rewards that aren't provided by normal city states. 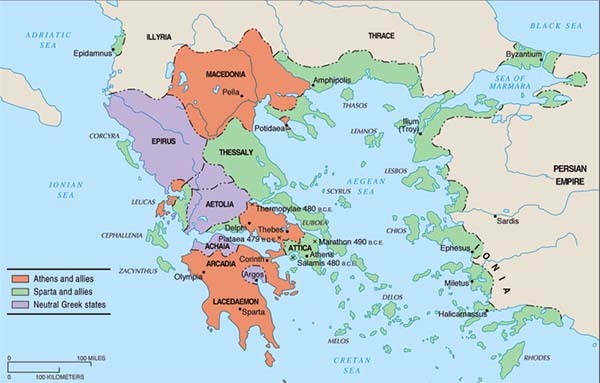 For most of its ancient history, Greece was not a unified state, but collections of loosely-allied city states. During the Peloponnesian Wars, Athens and its allies fought against Sparta and its allies. Greece could also have the benefit of being able to conquer those city states with its military without the city going through anarchy, if it sees fit. Greek philosophy and writing influenced the entire Western World and remains influential today. As such, Greece should have a bonus towards science and culture associated with its philosophy. The Philosopher great person could be a scientist or writer that has the functionality of both. A free Philosopher could be awarded to Greece when it researches the Philosophy technology (as part of its Hellenistic League ability). Example in Civ V terms: Philosopher is a Great Scientist that also creates a Great Writing whenever it is used to research a technology or create an Academy. Examples of philosopher names would be Aristotle, Socrates, Plato, Heraclitus, Parmenides, and maybe even Hippocrates. Each of these philosophers could have a unique great writing with a quote exerpt from one of their writings. Aristotle's Physica, Socrates' Euthyphro, Plato's Dialogues, and so on could be the included great works of writing. If a mechanic similar to great works is included in Civ VI (I hope one is), then this would allow Greece to fill up its early great work slots (like the amphitheaters) early, and give them an early head start towards culture. The Greek Hoplite was an elite unit that moved in a massed phalanx formation in order to overwhelm and overpower its opponents. The Greek Hoplite should start with the equivalent of Civ V's Shock promotion (combat bonus on open terrain) and also receive a large bonus for having friendly flanking units, and perhaps an even stronger bonus if the flanking unit(s) is another Hoplite. This would make them very potent if moved in formations, mimicking their actual use in classical warfare. In order to emulate the nomadic nature of the Huns, their ability in Civ VI could be the ability to move their natively-founded cities after they are founded (keeping all its population and buildings). There are a couple ways to handle this. Either the city itself could move to an adjacent tile, or it could be converted to Settler to be resettled later. Captured cities should not be allowed to move. This would allow the Huns to move cities to better locations as new resources are discovered / revealed, and it would allow them to "forward settle" near rivals, or even migrate their entire empire in order to be closer to a target of invasion. Or, the Huns could just not build cities at all, similar to the Mongolia DLC scenario in Civ V.
The Hunnic nomad could be a unique settler that can be created when moving an originally-Hunnic city. The Nomad could be considered a combat unit with a strength based on the combat strength of the city (perhaps equal to half the city's ranged strength). When resettled, the new city would have all its population (or maybe population based on the Nomad's hit points at the time of the settlement?) and infrastructure that it had before being turned into a Nomad and would receive the same amount of tiles within its cultural border as it originally had. Alternatively, the unique unit could be a Yurt, which would be a non-combat unit that replaces the Settler. It would replace the need for cities altogether by emanating cultural borders and collecting yield from tiles. it would also need some way of building "infrastructure" similar to city buildings. The number of Yurts available to Huns would have to be limited. Perhaps they could be limited by era, or by the number of cities that the Huns have conquered. 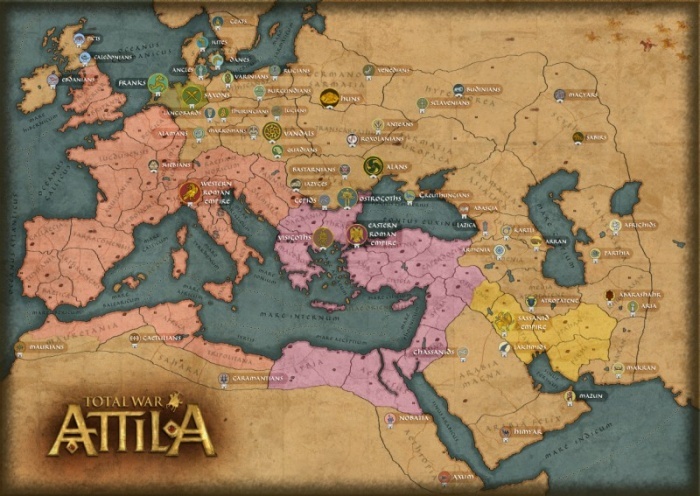 Attilla Total War may have stolen my thunder on this one, as it includes nomadic factions that do not own provinces. But I swear I came up with this idea before that game was announced! Note: the "nomad" theme outlined above could also easily be incorporated into the Mongolian Empire if that civ makes the cut instead of the Huns. This feature could be especially relevant (and powerful) if Civ VI incorporates any kinds of subsystems for climate, disease, or animal migration that could affect regional food, production, or wealth yields. While other civilizations' cities would be subject to the ebbs and flows of such dynamic systems, a nomadic civilization (like the Huns or the Mongolians), would be able to move its settlements in order to maintain optimal availability of food, production, wealth, and any other resources or yields that the map offers. One of my biggest pet peeves in Civ V is that the Chariot Archer does not upgrade to another ranged mounted unit, on account the game not having such a unit to upgrade to. If Civ VI uses similar unit categories, then it should definitely include a full line of ranged mounted units. The Hunnic Horse Archer could be a replacement for Civ VI's classical / medieval-era ranged mounted unit. Its primary benefit could be improved speed and/or combat strength. Alternatively, it could be available earlier in the game than the unit that it replaces (appearing around the same time as Horsemen or Swordsmen instead of Knights or Pikemen). Japan's Bushido ability in Civ V is a powerful combat ability, but it could better represent the actual "Warrior Code", which consisted of four parts: martial arts mastery, honor unto death, loyalty, and frugality. In Civ V, Bushido only encompasses the first part. I think it would be interesting if Japan actually gained a bonus when one of its units dies, perhaps gaining culture and/or faith (thus, "honor unto death"). Of course, we don't want to encourage Japanese players to just throw their units away, so we would also need some reward for surviving. To that end, we could maybe apply a monetary bonus for when a Japanese unit wins a battle. Perhaps Japanese units could be maintenance-free on any turns that they engage in combat, kill an enemy unit, or deal more damage to an enemy than it receives (hence, frugality). Having cultural, spiritual, and monetary rewards for combat may better represent the full nature of Bushido. The katana is a very efficient killing device. They are considered one of the best cutting weapons in world history. 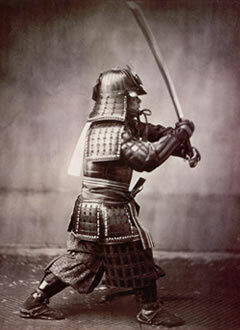 One or both of these features of the sword could be incorporated into the Samurai's powers. To simulate the quick draw, the Samurai could have a "first strike" ability similar to the Samurai unit in Civ IV or the Spear Throw ability of the Zulu Impi in Civ V. This would allow the samurai to perform a single round of combat at the start of battle without taking counter damage. In addition to (or instead of) the first strike, the Samurai could cause the Civ equivalent of "bleed damage". For example, the enemy unit could be prevented from healing the turn after combat with a Samurai. The Ise Grand Shrine is an example of a Shinto shrine that is rebuilt every 20 years as part of the Sengu ritual. The Dojo could be a unique barracks that also generates culture and / or faith that increases for each era after the Dojo is built. This is intended to represent the fact that some Japanese shrines are rebuilt and/or renovated every so many years, using traditional building methods and materials, in order to maintain them in their traditional states. If spies in Civ VI are depicted as units, then Japan could have a unique spy instead of the Dojo. The Ninja could have a reduced chance of being caught performing missions, or could have access to unique missions that only the Ninja can perform (such as perhaps having the ability to assassinate enemy Great People). 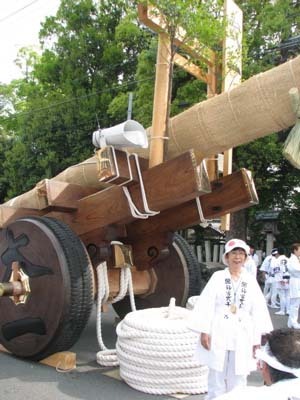 In fact, even if spies in Civ VI are not units, Japan could still have unique spying capability. Rome should have an ability that makes it the cultural center of its region of the world during the early parts of the game. Civ V's "Glory of Rome" does an adequate job of this by giving Rome discounts for buildings. I like this ability, since it encourages Roman players to focus on infrastructure, which is one of the things that made Rome so strong and influential during its day. Therefore, I wouldn't mind keeping a slightly reduced version of that ability included in its new ability. But I'd also like to see Rome's ability have effects on the civilizations that encounter Rome early in the game. For example, trade routes from Rome could generate automatic tourism with the targeted civilization. This effect would be strong early in the game, when tourism is hard to come by, but would become insignificant in later eras. Additionally, such a feature could require that a road be built between the two civilizations' capitals. In fact, I hope that Civ VI provides strong economic, diplomatic, and / or cultural incentives to link your capital with other capitals via roads, thus encouraging players to build roads to other civilizations (something that Civ V doesn't accomplish very well, even with BNW's trade routes). Example in Civ V terms: Costs of buildings are reduced by 15% if they already exist in the capital. Trade routes between the Roman capital and other civilizations' cities generate an additional 2 gold for both civilizations if a road exists between the respective civilizations' capitals. Trade routes that Rome sends to other civilizations generate 1 tourism with the targeted civilization. Alternatively, the ability could provide some bonuses for road networks, such as increased movement speed on roads or combat bonuses for battles that take place on or adjacent to roads. This encourages Rome to build more roads, and could even encourage them to build roads in neutral and rival territory in order to support invasion. Rome might also need a discount on road maintenance if this ability is applied. Example in Civ V terms: Costs of buildings are reduced by 15% if they already exist in the capital. Land units receive a combat bonus if the unit is defending on, or attacking from, a road, and maintenance on roads is reduced by 33%. I have no objection to the Legion and Ballista returning as Rome's two unique units, and retaining their current Civ V benefits. The Legion's ability to build roads would also compliment the "All Roads Lead to Rome" ability described above. But the Ballista could be replaced with a unique building that replaces the Market. The Roman forum could possibly grant the bonus economic and tourism bonuses from trade routes with that city, which would allow the alternate road bonus(es) to be incorporated into the ability instead. A somewhat more radical alternative would be to combine Rome and Byzantium into a single civilization to reflect the division of the Roman empire into eastern and western halves. To that end, the Byzantine civilization should not be included in Civ VI, and it's standard unique unit, the Cataphract, could be given to Rome as a late-classical Horseman replacement, or a medieval Knight replacement. and thus, Rome did not truly fall until the 15th century. If it replaces the Horseman, it could even be located later in the tech tree and be substantially more powerful (almost as strong as a Knight). Or, if a proper mounted-ranged unit line is included, then the Cataphract could replace a late-classical or early-medieval light cavalry unit (see Hunnic Horse Archer above). In this case, Rome's light, ranged cavalry would be replaced with a very heavy, melee cavalry that is substantially stronger than any contemporary mounted unit until Knights start showing up. Taking a page from the Civ III handbook, the Danish civilization could have a Viking Longship unique unit that has bonuses towards attacking coastal settlements, as well as the power to enter ocean tiles. This ability could come with a chance of sinking as well. Example in Civ V terms: The Viking Longship may enter ocean tiles, but takes 50 HP of damage whenever ends its turn on Ocean. It starts with the City Raider I promotion and can perform melee attacks against barbarians that are stationed in coastal encampments. Defeating the barbarian in the encampment disperses the encampment just as if it had been attacked by a land unit. Similarly, the Persian Immortals could benefit from a similar ability to the Musketeer. In addition to always keeping their number of troops consistent, they were known to carry shortbows that they would use to soften up an enemy before charging. So the ability to perform a ranged attack before a melee attack makes sense for them too. Including the Immortal, Impi, and Musketeer would mean that there would be an ancient/classical, medieval, and renaissance melee unit that has a ranged first strike. I would like for Civ VI to have a unique unit for every unit type available in the game. Thus, I'd like for there to be at least one fighter plane unique, which could be the Soviet Russian MiG-21. Since it was designed to be a short-range interceptor / fighter hybrid, the MiG unique unit should have bonuses towards intercepting other aircraft (including other fighters and bombers). However, this fighter was also known for having some defects that limited its potential as a true combat vehicle. It had short range and a defect that prevented fuel from flowing to the engine during some extreme maneuvers, causing the plane to stall midflight. However, the plane had easy-to-use controls and was cheap to produce and maintain (enabling it to become the most widely used fighter plane in the world). These negative attributes of the plane could be implemented in Civ VI by reduced combat strength or reduced range that is somewhat offset by cheaper production cost than regular fighters, lower maintenance costs, and maybe even a reward for gifting the aircraft to other civs or city states. But, since the MiG is so widely-used in real life, it might make sense for that unit to be the basis for the default Jet Fighter model. This would mean that the unique slot for a fighter aircraft is still open. With two uniques already assigned to Japan and America (thus eliminating the Zero and the F-16 or F-22 from contention), another alternative would be to replace the English Ship of the Line with the Spitfire fighter plane. The wings of the Spitfire had very thin cross-sections, which increased the speed and performance compared to other contemporary fighters. It was instrumental at repelling the German Luftwaffe during the Battle of Britain, and its success there encouraged Britain to produce more of them and even create a variant model that can be based on aircraft carriers (called the "Seafire"). This unit could have higher interception chances and/or combat bonuses when engaging other air units. The higher interception changes would be particularly relevant, since it would protect England in Civ VI from aerial assault, just as the plane did for real-life Britain in World War II. Re: Egypt. I think Egypt's power as the Wonder Builders is OK. Sure, other civs made wonders, but Egyptian wonders are the MOST ICONIC to popular culture. If you show a picture of the Sphinx or of the Great Pyramids to probably ANYONE, they will know what it is. Plus these structures STILL EXIST today and are older than other wonders. Just as the game of Civ 5 asks you, "Can you build a civilization that will stand the test of time? ", I think the question for Wonders should be the same. These HAVE STOOD THE TEST OF TIME. You may be even to show someone a picture of an obelisk and they would be able to identify it was Egyptian (or originating from the Egyptians; others copied obelisks). 1. It doesn't exist anymore. 2. Because the Greek style columns became so popular, it looks "generic". It could be anything. When I think of the ancient Greeks, although they were good builders too, I think more philosophy and war. This may be because that is what is focused on in school, but those are the first two things that come into my mind. Well, and then 3rd is togas. I really hope civ vi let's me play a world war. I want nation states in the industrial Era. Or aggressive diplomacy. Like modern conflicts are fought. Small attacks on other small countries to hurt our actual enemies. Free trade alliances axis and allies warsaw pact things like that. Hey! Thanks for sharing your ideas. The question is: which civilizations will be included in Civ 6? We have 4 spaces left to fill. From the Americas, I'd choose the Incas, but it could be the Iroquois too (I'd suggest the Mayas, but they are usually reserved for an expansion pack, for whatever reason). I think Spain is another strong contender. It would be great to have an African civ from the start: either Ethiopia or Mali. Aditionally, Persia could be replaced for the Ottomans or the Sumerians, but the Persians seem to be a classic in the Civ world.